Patara Beach and Kalkan's Mouse and Snake islands in the distance. 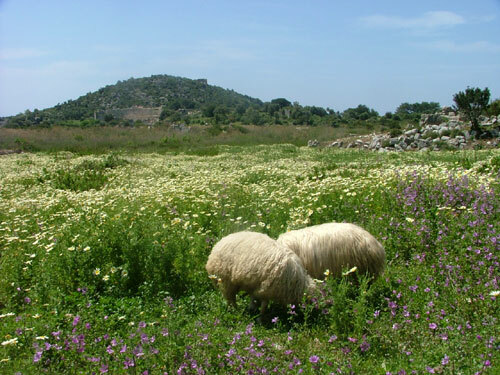 are wheat and the light green ones are aniseed. Grazing sheep at Patara, April. 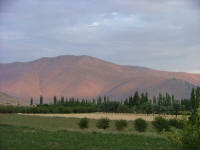 Village near near Gömbe, Ak dağ (White Mountain) in background. 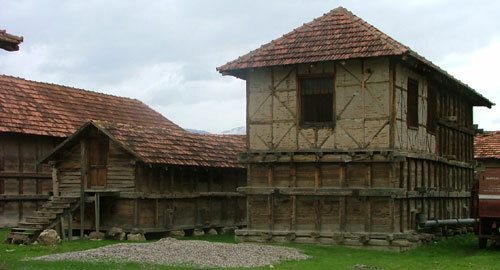 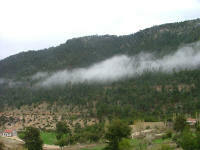 Village of Bezirgan, a huge flat yayla with very fertile soil. 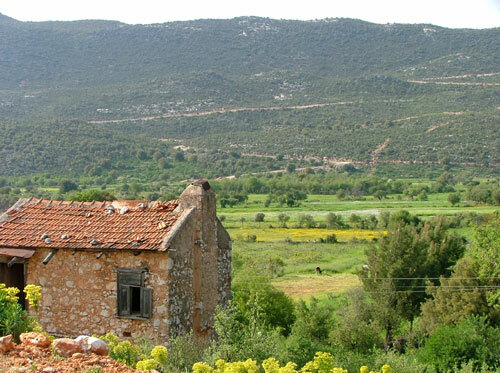 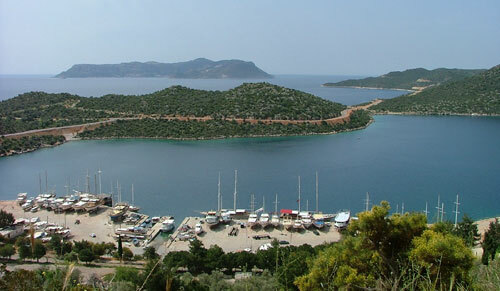 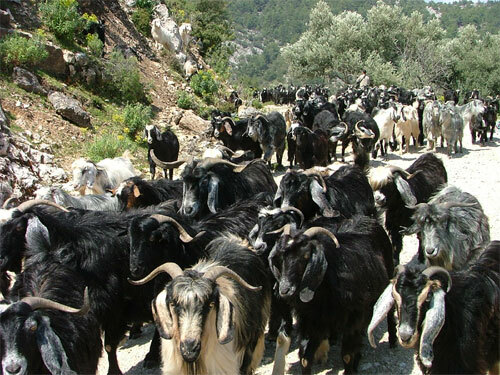 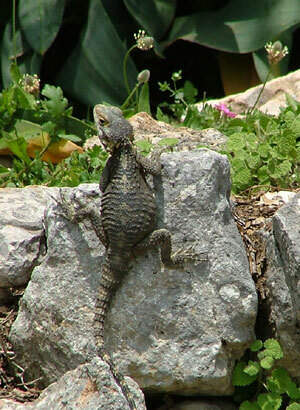 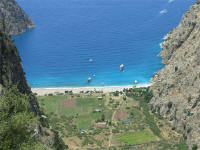 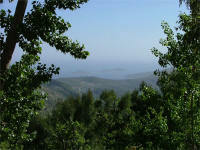 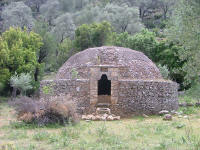 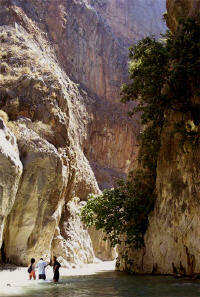 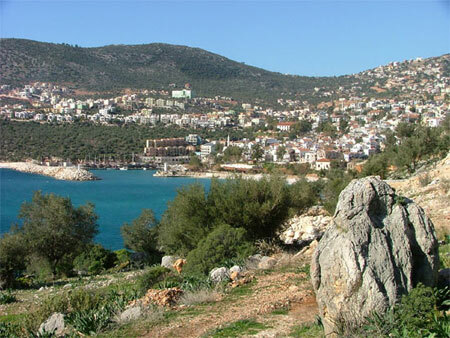 It is near Kalkan and many of Kalkan's locals originated here and still migrate here in the summers for the coolness. 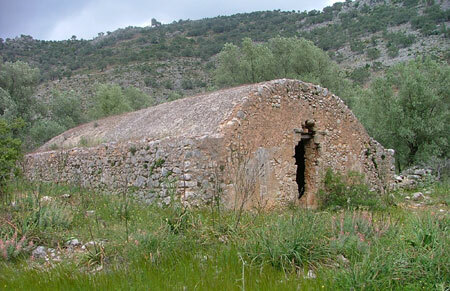 Also the location of some large ambars at the southwest edge of the village. 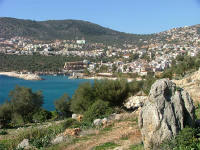 Town of Kalkan near Patara, once an Anatolian-Greek village, the Old Town still has many of their beautiful old houses. Cedar of Lebanon tree near Gömbe in the State managed cedar forest at Dokuz Göl. 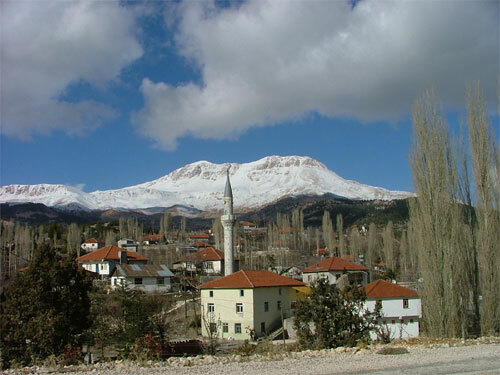 Ak Dağ (White Mountain) in background. 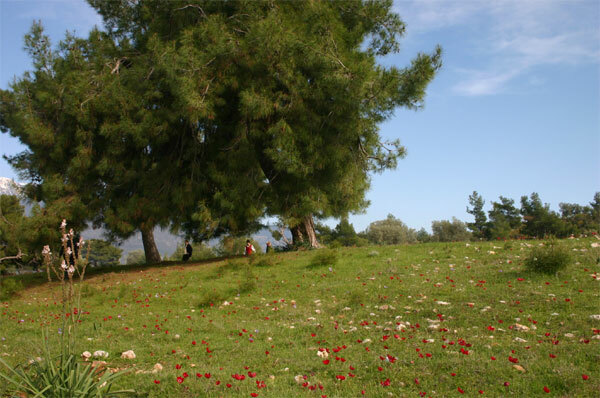 Mark Antony gave this forest (then called Oenium) as gift to his beloved Cleopatra to provide Egypt with timber for ship building. 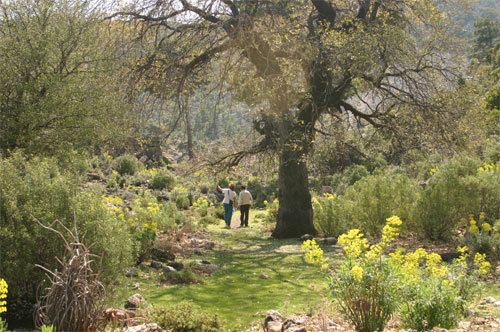 An important tree revered antiquity, few are left in Lebenon and nearby countries but they flourish in Turkey today. The Lycians harvested these trees for export to Rome; the wood was one of the most demanded materials in antiquity and was used in construction, ship building and coffin making. 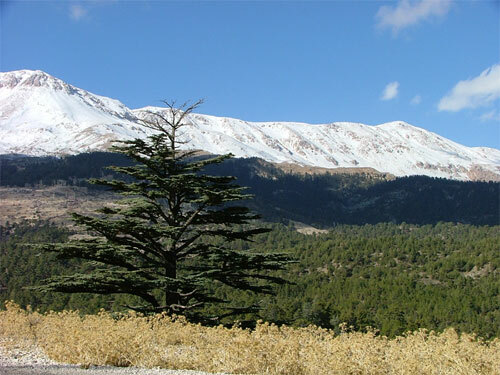 Pliny the Elder used the cedars of Lebanon as a standard by which all other timbers should be measured. 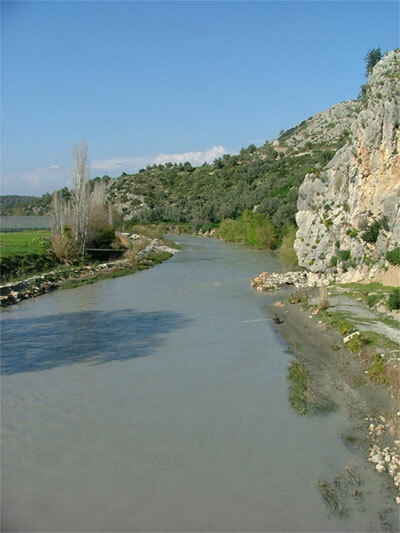 Xanthos River (Eşen Çay) near Kınık, at the base of Xanthos' acropolis. 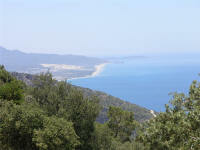 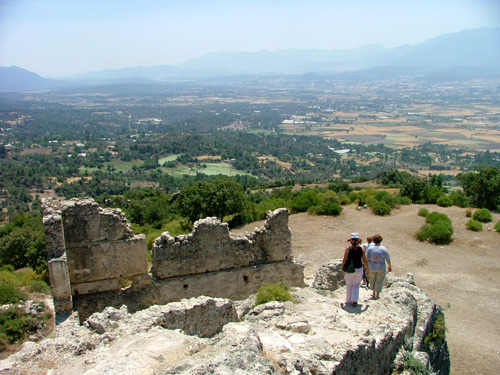 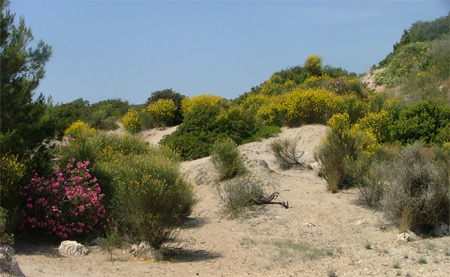 The river empties into an estuary at nearby Patara. 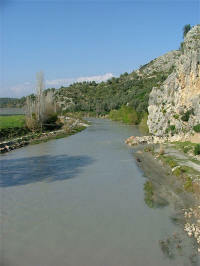 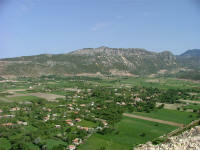 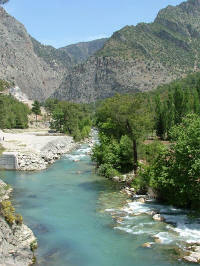 Xanthos River (Eşen Çay) at Ören near the Lycian site of Araxa.